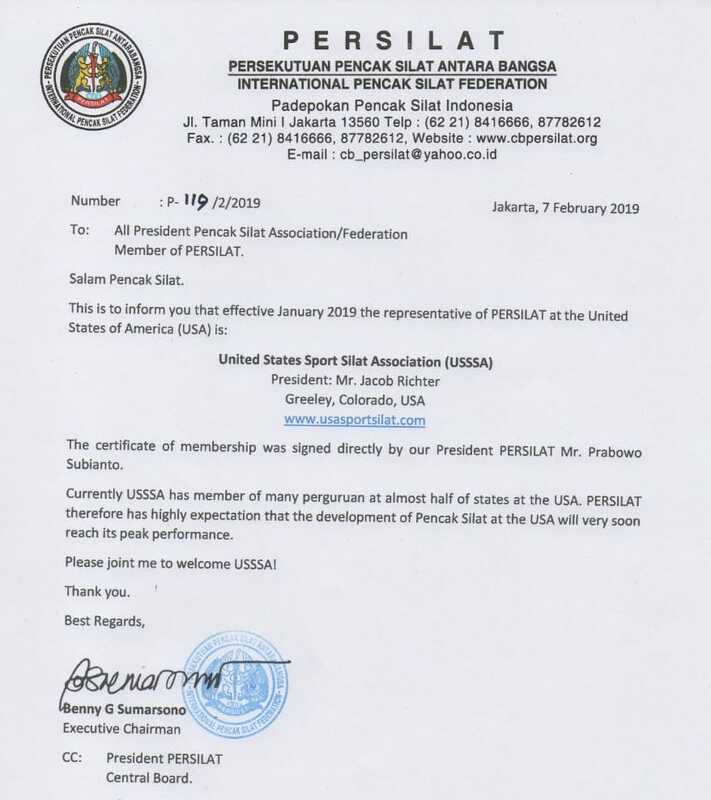 Last month (January 2019), the United States Sport Silat Association (USSSA) was officially recognized by the world governing body for Silat, the International Pencak Silat Federation (PERSILAT) based in Jakarta, Indonesia. This makes the USSSA the only national body in the United States sanctioned by PERSILAT. This gives us the authority to bring the USA Pencak Silat National Team to international competitions like the World Pencak Silat Championships, the Belgian Open, the Singapore Open and more. At the same time this enables us to host first-class, PERSILAT sanctioned events here in the United States. 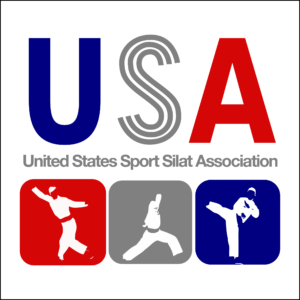 This opens up a wealth of global Pencak Silat knowledge and experience and strengthens bonds between the United States and the rest of the world. We are now in good company with 52 other member countries. Most importantly this gives us the charter to showcase the uniqueness and diversity of Pencak Silat in America on a world stage.